We usually throw away the bitter gourd peels but, this one is the best way to use it. You can easily cheat the culprits who throw this vegetable from their plate 🙂 It doesn’t give bitter taste and it is good for people with diabetics. Combine all the above said ingredients in a mixing bowl. Knead to a smooth dough adding water. Cover it and keep aside for 30 mins. Take a ball and roll it on wooden board using roller pin. 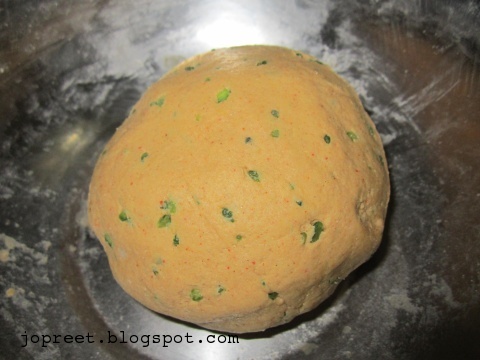 Dust it with flour and roll it. Similarly roll all the balls. Heat a tava and apply oil. Fry the thepla applying little oil all over the sides. Once the brown spots appear, turn on other side. Brush with the oil. 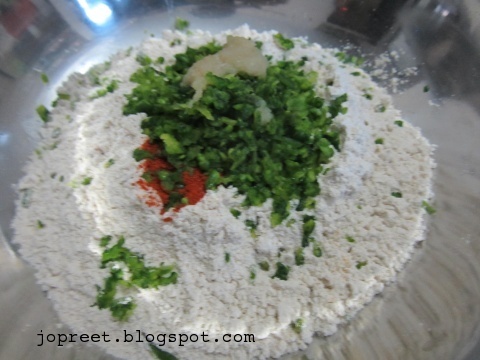 Once done, remove from the heat and proceed with other thepla. 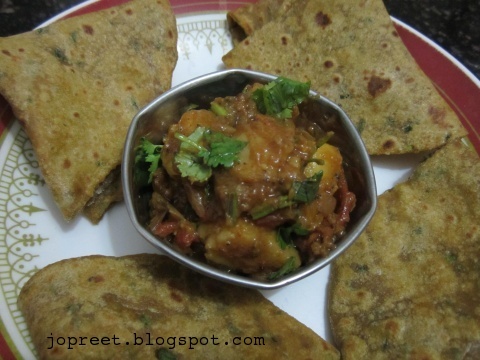 Serve hot with raita or any sabji. Wow, great recipe! 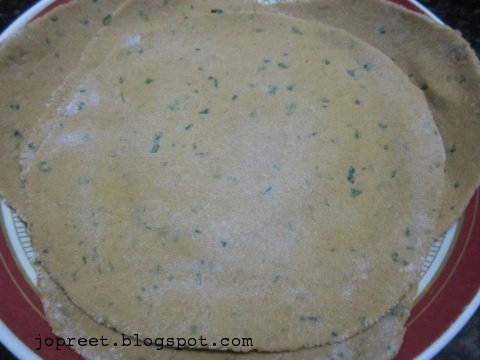 My Mom makes these with few different ingredients though, and we called them thalipeeth. Sounds good. 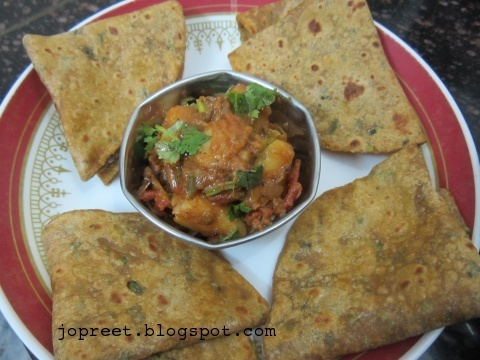 Very delicious and mouthwatering recipe. Perfectly made. Lovely clicks too. 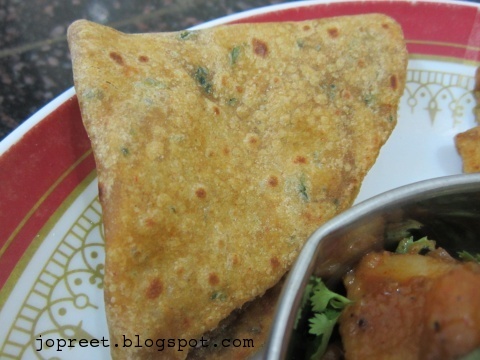 Interesting and definitely a lovely way to finish those peels, loving this thepla.